You are here: Home / Blog / Allergies / Give Me the Vitamin D-tails! Give Me the Vitamin D-tails! A “D” on your report card isn’t favorable, yet a good “D” level on your lab report is important. Wondering why? Vitamin D has been featured in many an article on health, but science has revealed more detail that I would like to share with you. Let me start by clarifying that Vitamin D is actually a steroid hormone. We call it a “vitamin” because it is not made in the body and must be provided from external sources. 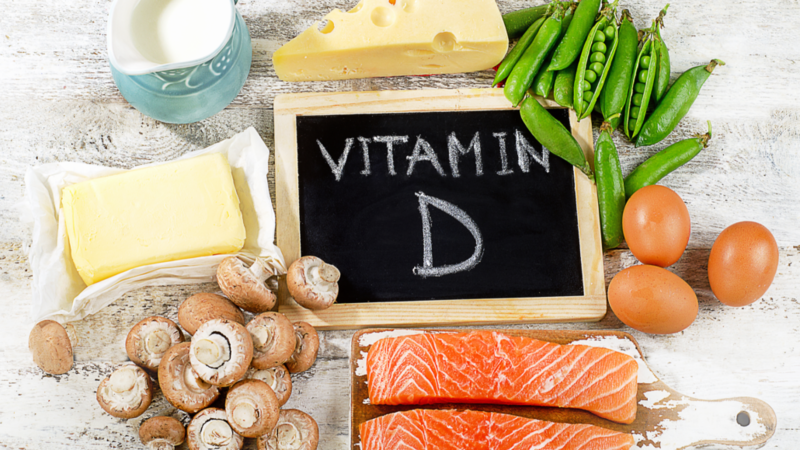 Most vitamins are taken in via food, but Vitamin D is created in conjunction with precursors of cholesterol in the skin with proper sun exposure. Given our reduced outdoor activity in winter and use of sunscreen, we are often deficient. Some have raised concerns about the potential of Vitamin D toxicity which is rare. What is perhaps of greater concern is taking high doses of supplemental Vitamin D without the proper co-factors to protect against downstream depletion of other nutrients. What is needed to properly absorb and use Vitamin D? First of all, it is a fat-soluble vitamin and should be taken with food that contains a healthy fat source. A steady daily supply is more effectively absorbed than taking a weekly higher dose, and the D3 form is better absorbed. What are the co-factors that you need to maximize Vitamin D’s effectiveness? Magnesium is needed to convert Vitamin D to its final usable form. Magnesium is a common depletion for Americans because it is severely depleted in our topsoil and not available in our produce. 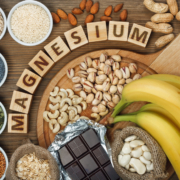 The form of Magnesium you take is dependent on your symptoms and need. Vitamin A, important for skin and eye health, shares cell receptors with Vitamin D and is best paired with it to support your health. Vitamin K2 works synergistically with Calcium and Vitamin D, helping to move Calcium into the proper places, such as bones and teeth. So what is your Vitamin D level? It is recommended that you have your level tested twice a year and ideally keep it in the 40-50 ng/mL range to keep your immune function strong and balanced. Is your level lower than that? Consider supplementing Vitamin D3 with the co-factors I mentioned above. Contact me for guidance in dosage and recommended brands. Do you find that your Vitamin D level is higher than I have recommended? When Vitamin D is above 70, it can begin to suppress the innate immune system. This can actually be beneficial if you are dealing with an autoimmune activation, as it can provide triage for an immune system that is out of control. Check your latest lab report to see where your Vitamin D level is. Don’t see it on the report? Make an appointment with your doctor to get updated labs and be sure that Vitamin D is included in the requisition. You can take back your health as you evaluate where you are currently and what steps you can take to support your body in wellness. http://www.pursuewellnessforyou.com/wp-content/uploads/2018/02/vitamin-d.png 1080 1920 Kelly Lutman http://www.pursuewellnessforyou.com/wp-content/uploads/2018/12/logo_lg-2.jpg Kelly Lutman2018-02-13 09:15:412018-12-31 06:56:14Give Me the Vitamin D-tails! Arm Yourself to Fight Illness! Why My Passion For Detox?